The People's Path is a community plan begun more than 50 years ago. 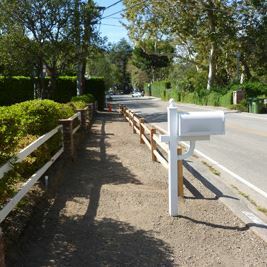 Over the years many homeowners and MCA constructed and maintained paths and split rails on the City's parkways (right-of-way area) along the road, in the lower area of Mandeville Canyon Road. 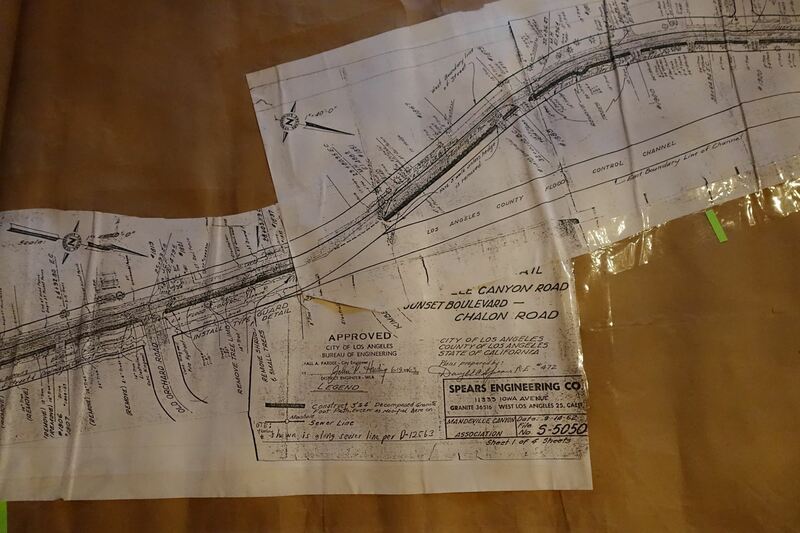 In 2015 old maps were located. 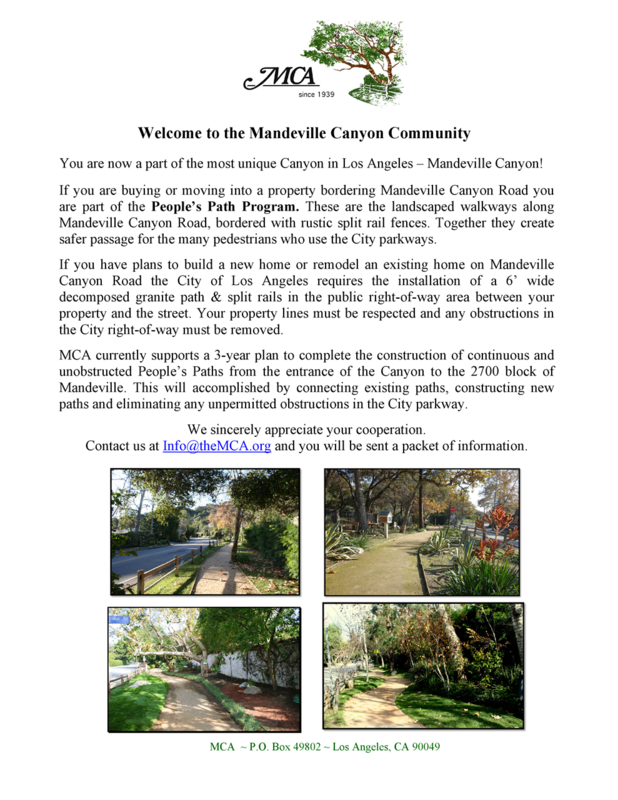 In 2016 MCA presented a master plan to the City of LA to complete the construction of a continuous and unobstructed path from the entrance of the Canyon to the 2700 block. 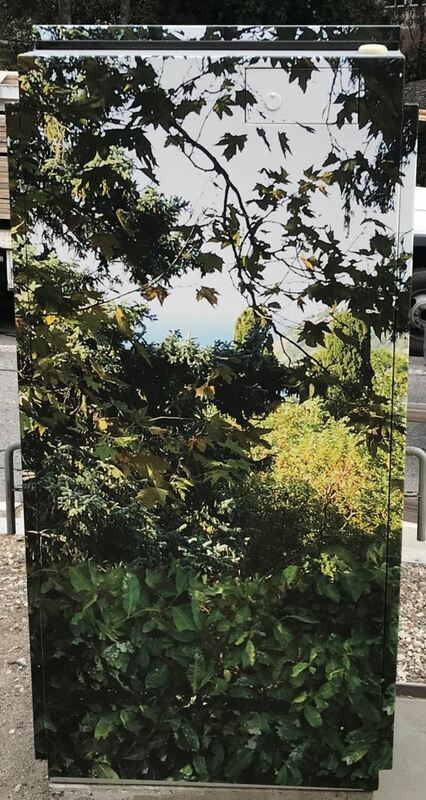 The purpose of the plan isn't only for pedestrians to walk but to improve overall safety & sight-lines, enhance property values & quality of life, and protect the ambiance of the unique character of Mandeville Canyon. The City of Los Angeles Board of Public Works approved the master plan and provided MCA with permits and the authority to build within the City parkways. MCA works with new and old homeowners to make improvements to the parkway area and can assist with permits per the City-approved People's Path specifications. In some cases MCA will fund and oversee the installation of paths and split rail fencing as funds are available. Contact info@theMCA.org to receive more information. New homeowners engaged in remodels or new construction are required by the City to construct the paths per an approved design. 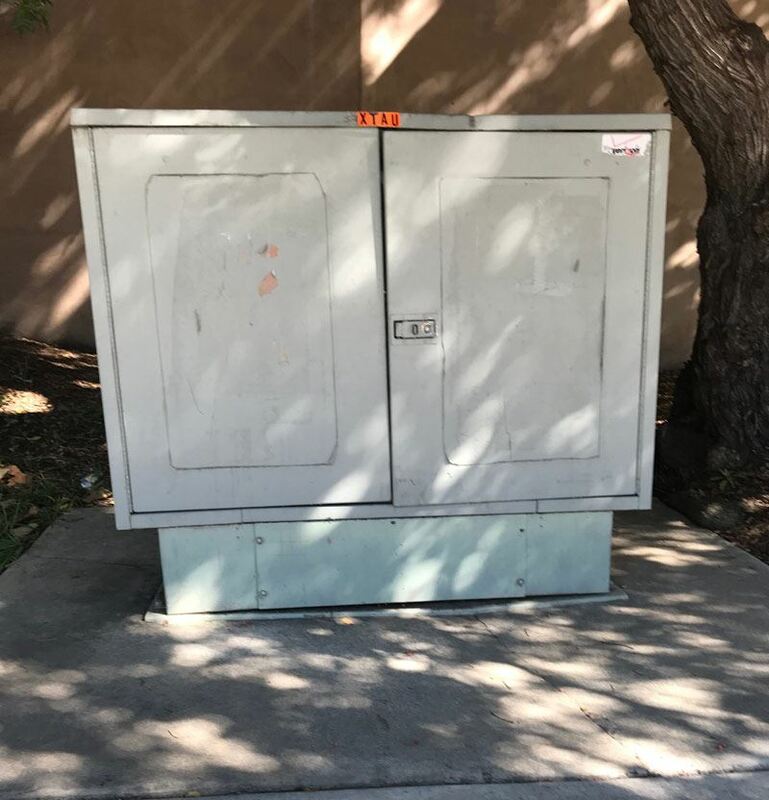 City Property extends anywhere between 18-25 feet from the curb of your property line. In most cases, homes north of Westridge have a property setback of 18 feet from the curb. City Code mandates that it is the responsibility of each property owner to provide and maintain safe passage for pedestrians in front of their home. 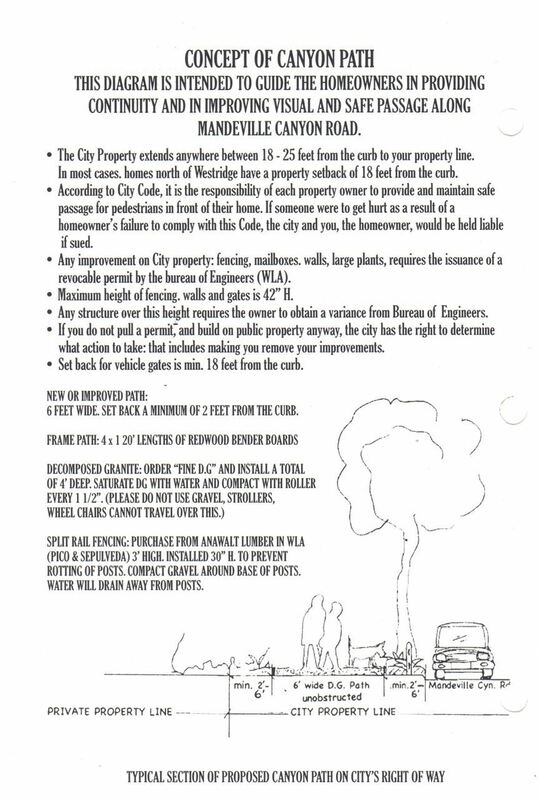 If someone were to get hurt as a result of a homeowner’s failure to comply with this Code, the City and you, the homeowner, could be held liable if sued. Any improvement on City property (fencing, mailboxes, walls, large plants, etc.) 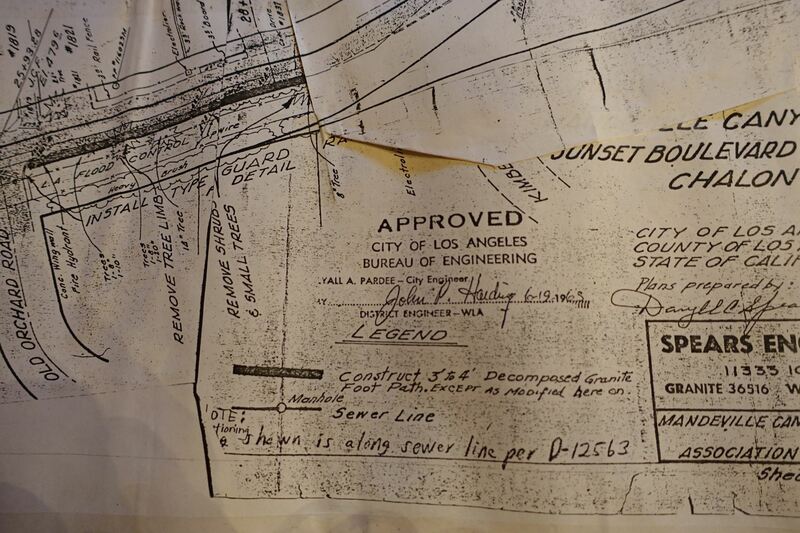 requires the issuance of a revocable permit by the Bureau of Engineering (BOE). Maximum height of fencing, walls and gates is 42”. Any structure over this height requires the owner to obtain a variance permit from BOE. If you do not obtain a permit, and build on public property anyway, the City has the right to determine what action to take. That could include making you remove your improvements. The setback for vehicular gates is a minimum of 18 feet from the curb. 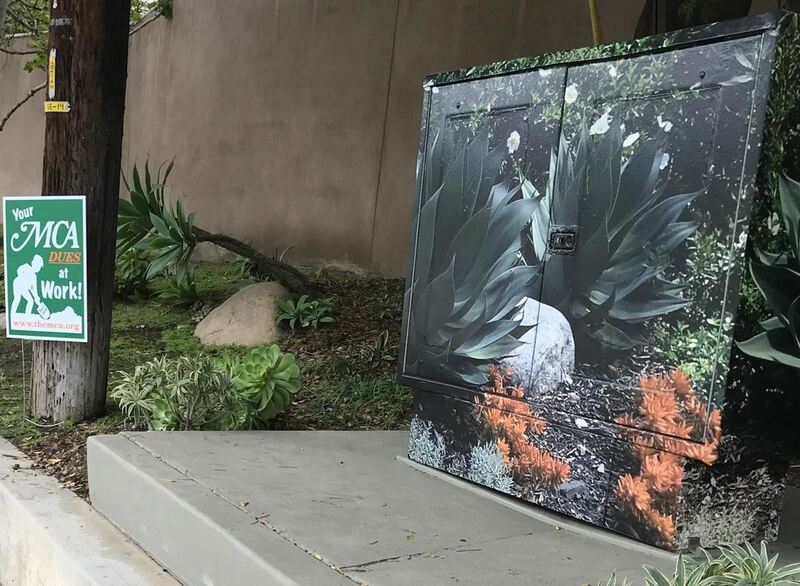 Dear Residents of Mandeville Canyon, All of us turn off of Sunset onto Mandeville a million times a day it seems, but probably never really notice the two rather ugly electrical boxes. 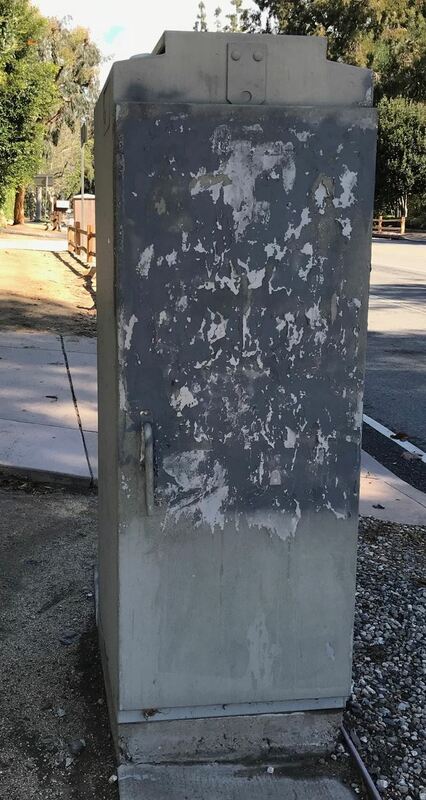 They were eyesores as they are all over Los Angeles. You probably only noticed them if they are papered with various political comments and other media. Well - as of today - eyesores be gone! 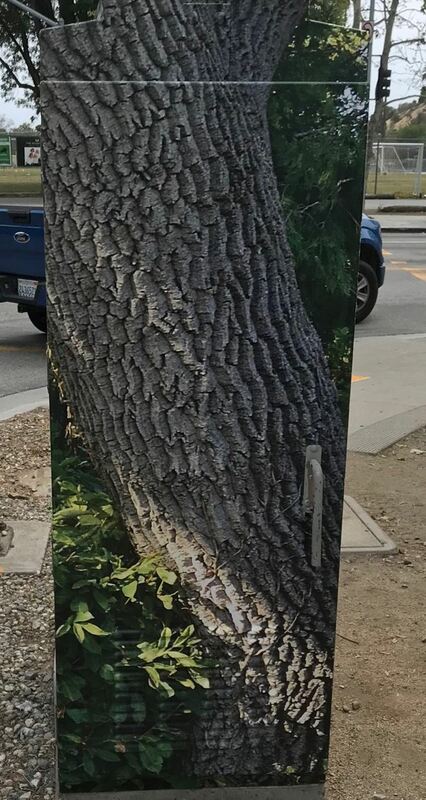 The MCA, in coordination with Craig Furst and AAA Flags has laminated the boxes with beautiful landscape designs. 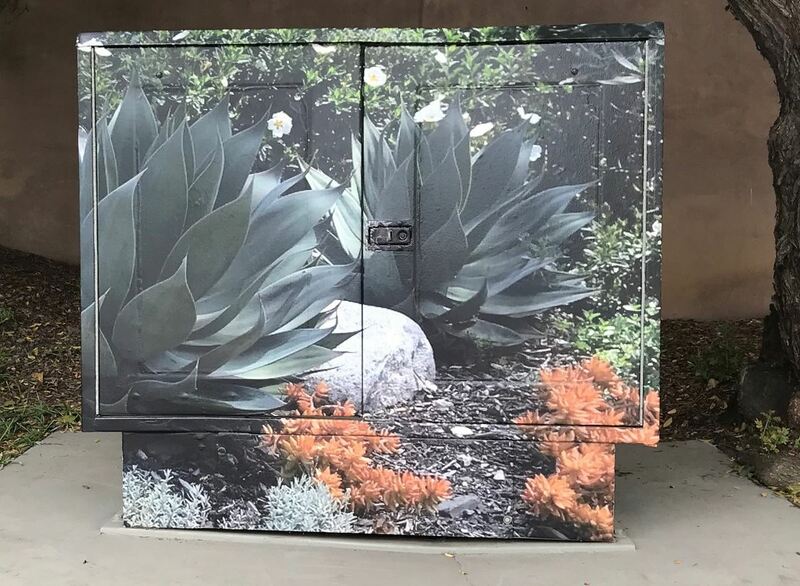 We are also trying to raise more money so that we can landscape around these boxes so you barely even know that they are there. 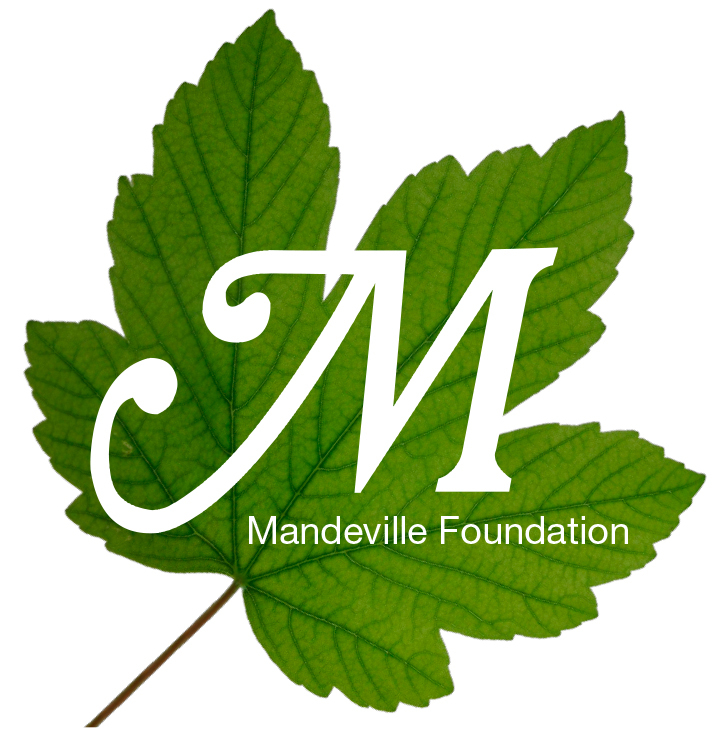 I want to thank Craig Furst, a Mandeville resident, for being so willing to work with us and the community on projects like this. He has always been accessible and generous with his time and his company. Thanks so much Craig. I also want to thank all of the homeowners who have paid their 2018 dues that makes projects like this possible. If for some reason you have not paid your 2018 dues - well it's not too late (-: Just Click Here to pay them. Please see the attached before and after pictures attached so you can appreciate the difference. MCA Board Member Michael Caan rolled up his sleeves, organized a small team, and oversaw this project. It looks great and shows pride in our neighborhood!